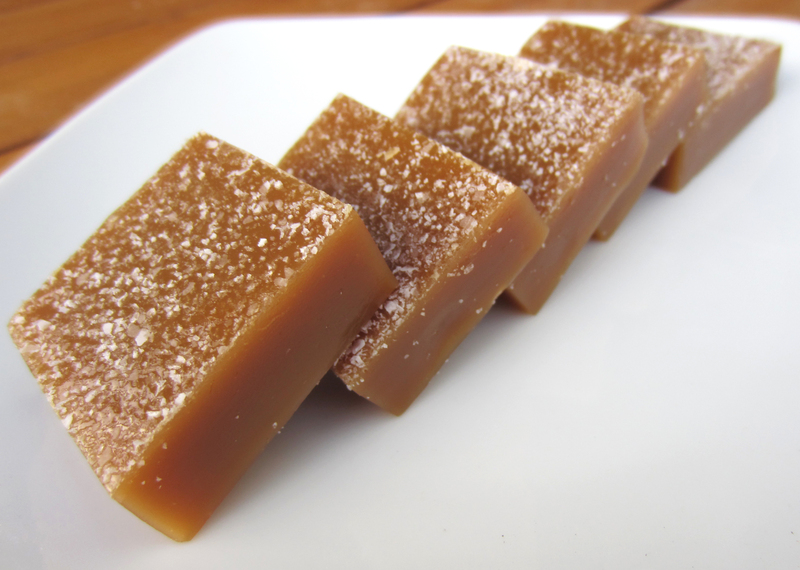 note about agave nectar: while agave nectar can take the place of corn syrup in most recipes without much notice, it can be tricky in sugar work like caramel. the measurements for other liquids present are an estimate, since a less dense and sweeter inverted sugar can throw the ratios of such a recipe off substantially. also keep in mind that agave nectar browns faster than other inverted sugars, so be sure to keep your stovetop temperature medium/medium high at most. 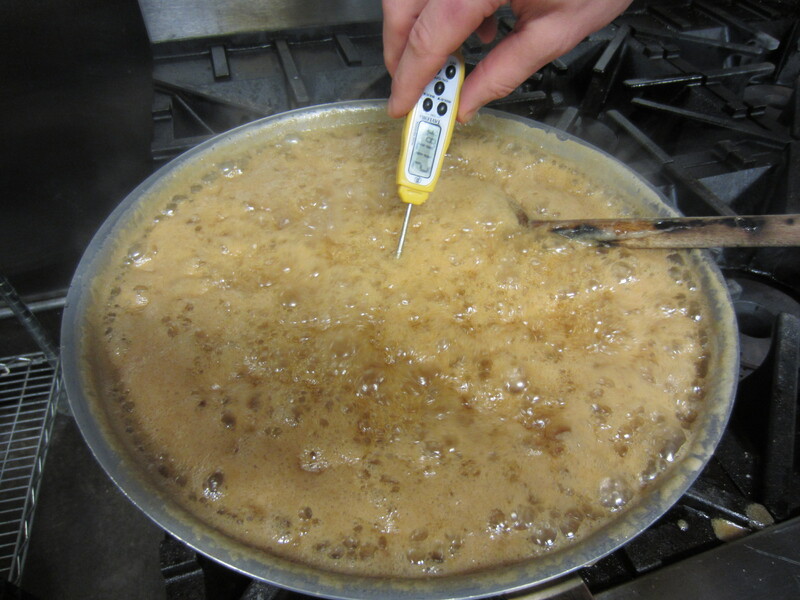 pan size: depending on the carbonation and variety of ale you add to the caramels, keep in mind that boil-over in the early stages is a strong possibility. i recommend using a pan which has a volume double that of your cooked product, in order to give you some room. if you’re in a house with a bunch of small pans, consider halving the recipe. 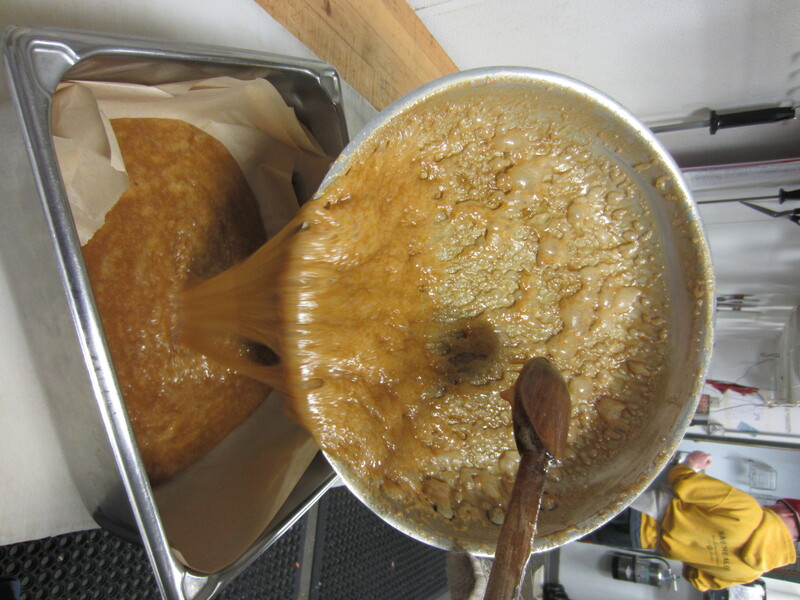 4. once the caramels hit 240F, pour the mixture into a parchment paper lined baking dish about 2″ deep. 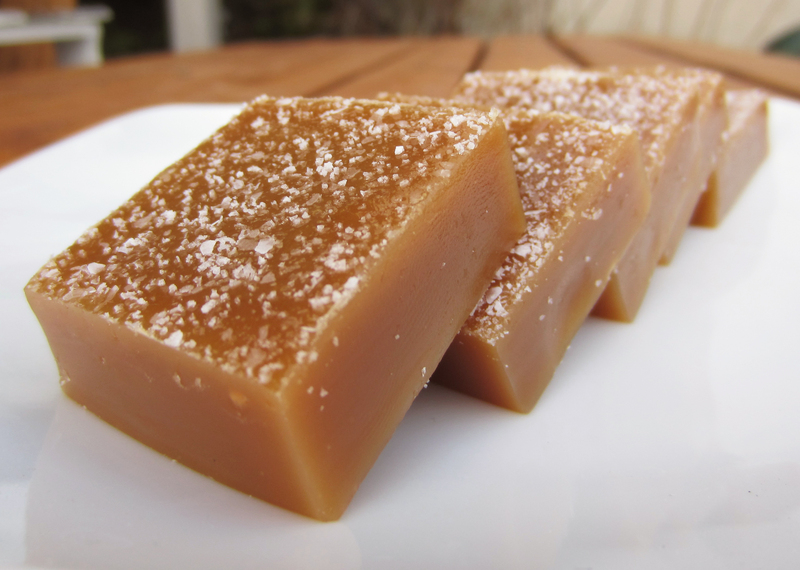 6. leave at room temperature for an hour, then chill for two hours. 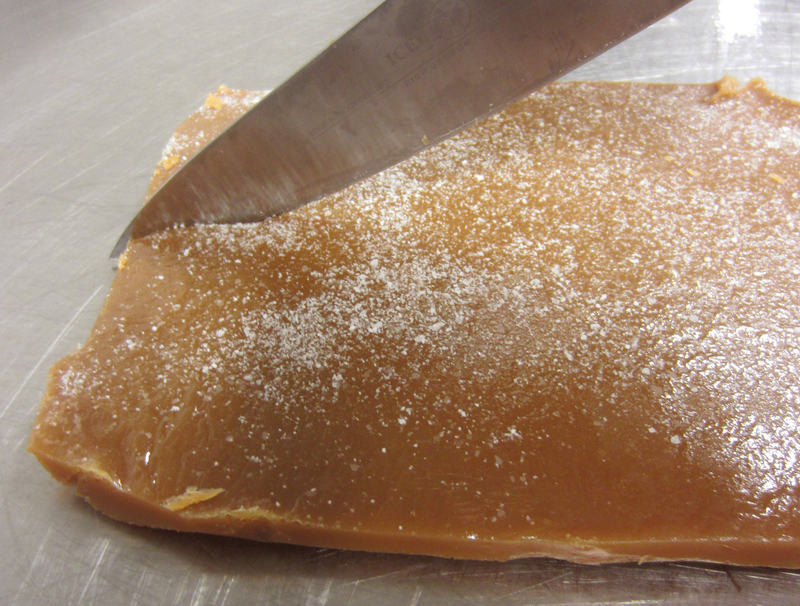 7. before cutting, bring up to room temperature for about 30 minutes, otherwise some parts can shatter. We know that eating out when you have dietary restrictions is never easy. 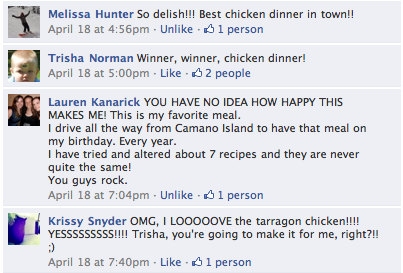 So, we’re trying to better inform our customers and let them know which menu items are best for them. If you’re Gluten Free and eating at Boundary Bay Brewery, here’s what we’ve got for you. 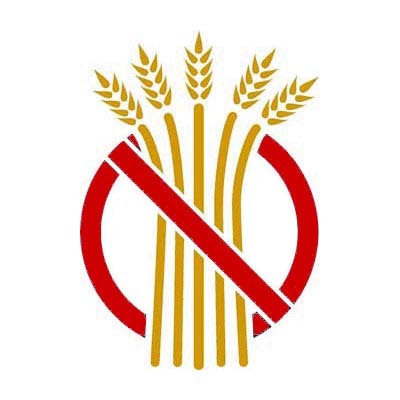 But please remember that our restaurant is not entirely gluten free and, due to cross contamination, we can never guarantee that our items are 100% gluten free. We know being a Vegan is a commitment and it’s not always easy to dine out while meeting your dietary needs. So, in hopes of making things easier for our customers who are Vegan, we put together this list of foods on our menu that are great choices for Vegans. none of our regular soups are vegan, but check the soup of the day! We know choosing foods to pair with your beer can get a bit tricky during the winter months, when rich, dark, flavorful seasonal beers are in season. So, our Sous Chef, here at Boundary Bay Brewery, came up with a few suggestions to help you find just the right flavors to compliment the craft beer you’ll be serving. 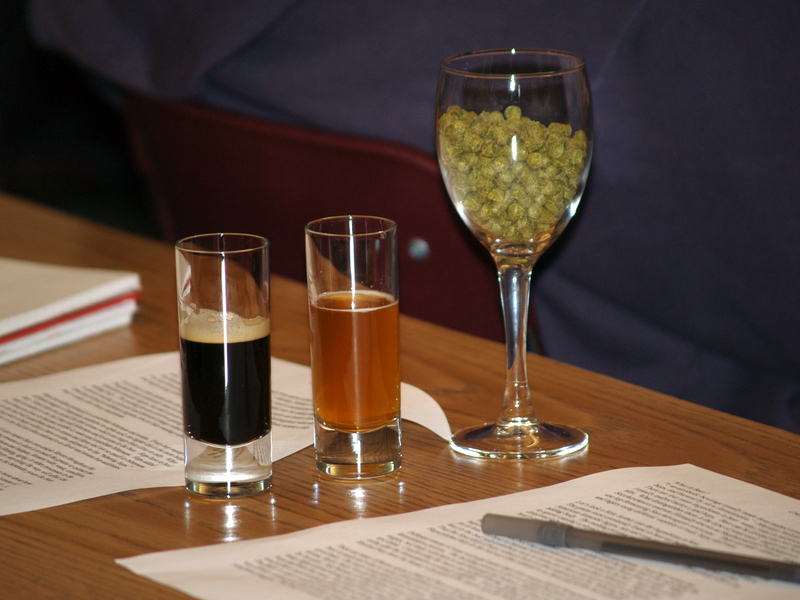 CraftBeer.com recommends matching strength with strength and suggests pairing assertive beers with strongly-flavored foods. 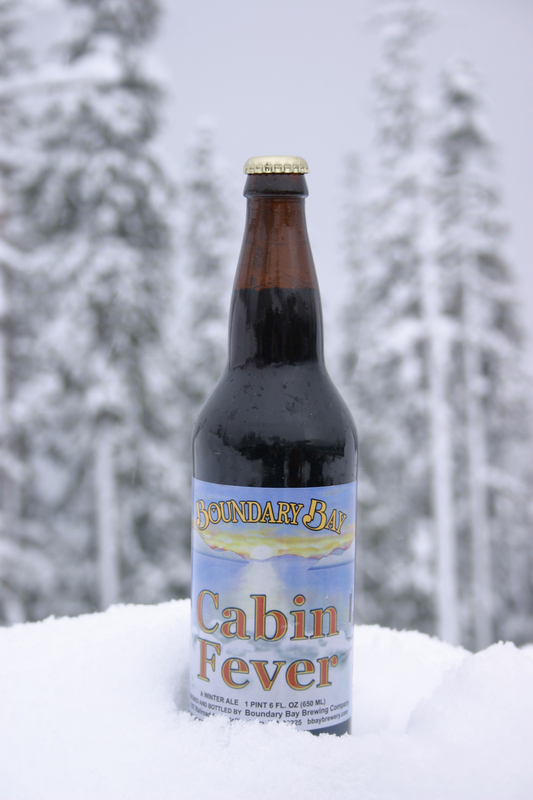 Our Cabin Fever is the most popular of our big beers. 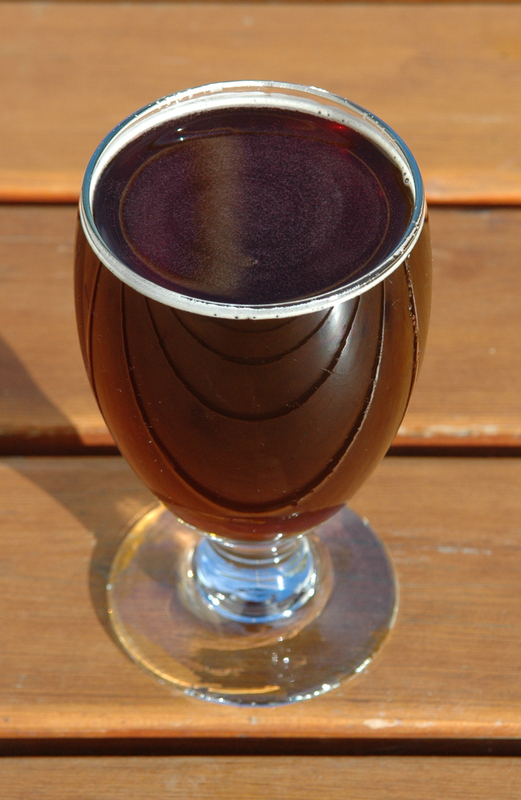 It’s our Winter Seasonal ale with a dark red-brown color and a very rich malty flavor. Try it with an apple, cheddar and sorrel turnovers for a savory pairing, or go sweet with a dessert pairing of chocolate espresso torte. 1. 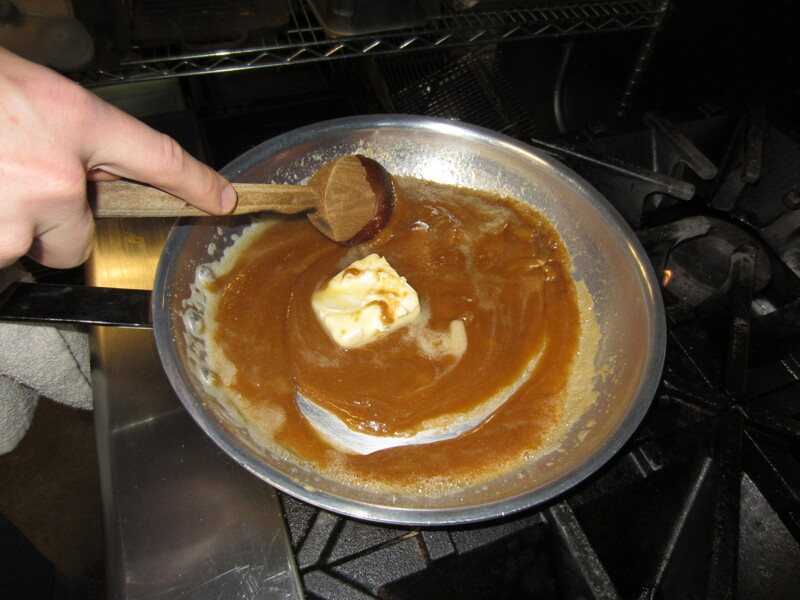 Heat the heavy cream and sugar in a saucepan. 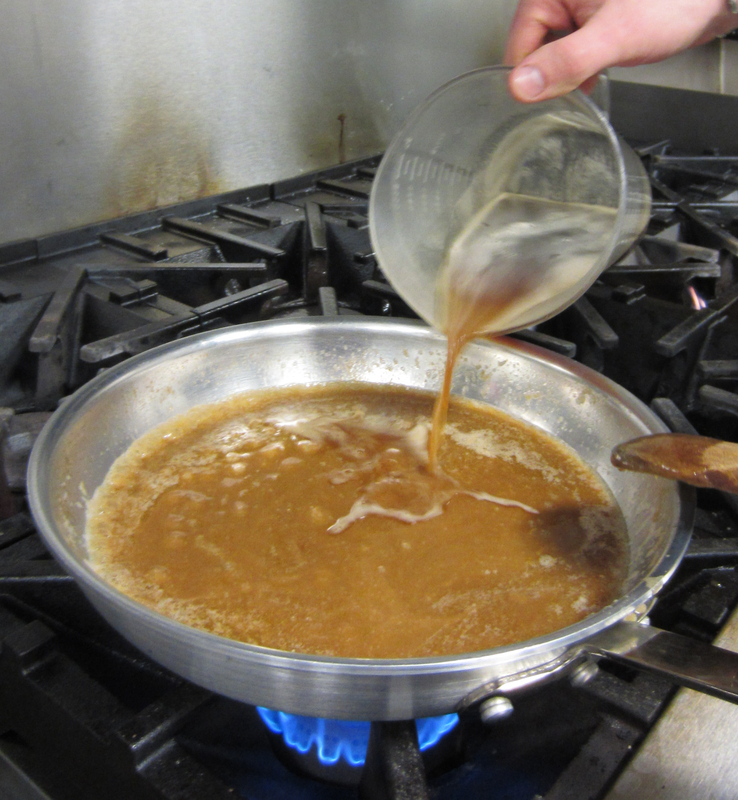 Once the sugar is dissolved, remove from heat and stir in the vanilla extract. 2. Lightly oil eight custard cups. 5. Divide the Panna Cotta mixture into the prepared cups, then chill them until firm, which will take at least two hours. 1. Cook the cranberries in the sugar and water until soft. 3. Slowly whisk in your arrowroot/water mixture until desired consistency. Be sure to use low heat. 4. Try not to reduce the sauce after adding the port. It is easy to turn this cranberry-port sauce into a port wine reduction! Now that summer’s finally here (well, in theory at least! ), what’s better than spending a weekend afternoon BBQing and drinking beer? We think the only thing better than that is BBQing WITH beer – especially Boundary Bay Brewery beer! 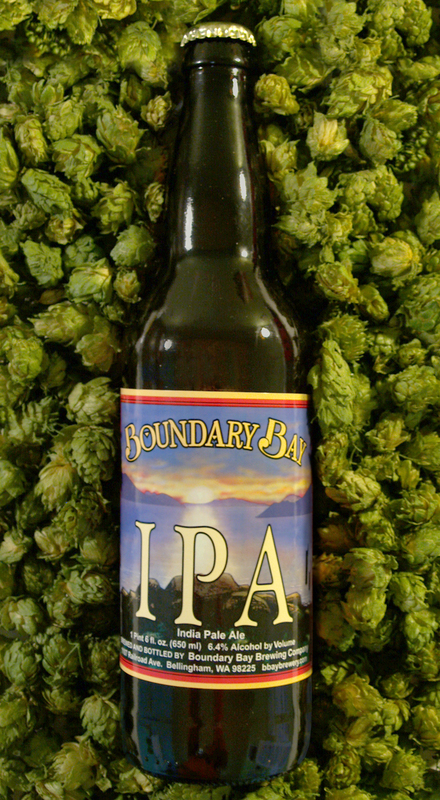 Our IPA is undoubtedly our most popular beer and it’s available in kegs, pony kegs, growlers and in 22 oz. bottles here at the brewery. Don’t forget, you can always head over to the Boundary Bay Brewery YouTube channel to check out all of Matt’s cooking videos. Cheers! There are quite a few dishes we’re known for here at Boundary Bay Brewery – our Mac n cCheese, our Yam Alechiladas, our Smoked Salmon Chowder. Another perennial favorite is our Tarragon Chicken and we’ve decided to share the recipe here with you! 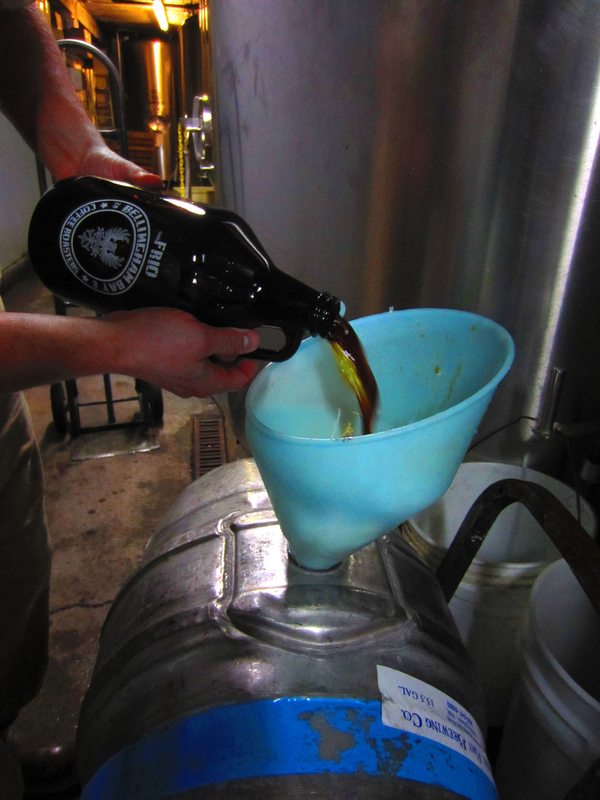 Enjoy (ideally with a pint of hand crafted beer)…from all of us here at Boundary Bay Brewery! Heat the oil in a large pan and lightly brown the chicken. Add cabbage and onions, cook until soft. Deglaze the pan with some of the chicken stock. Transfer all pan contents to a soup pot. Add stock, sambal, soy, vinegar and lemon juice. Bring to a boil. Simmer for 10 minutes and adjust spiciness as desired. 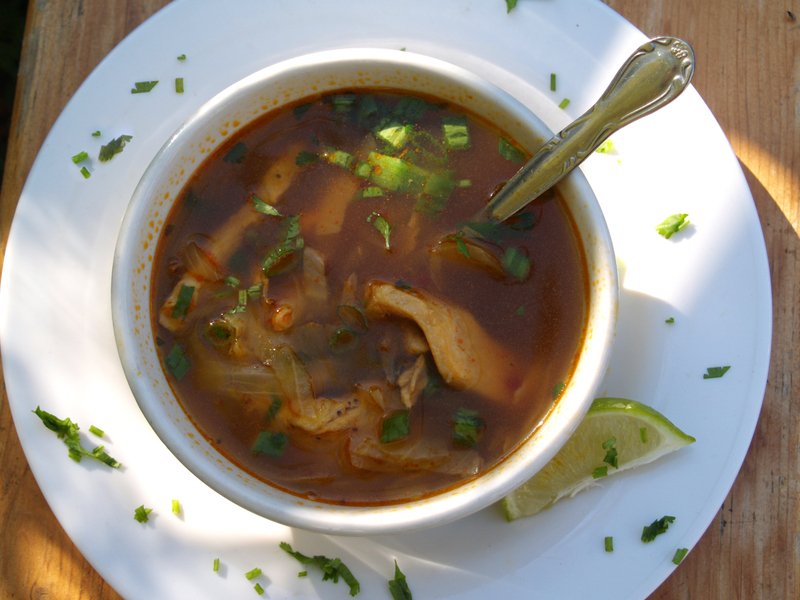 Garnish with cilantro and green onion and serve with a lime wedge on the side. Enjoy with your favorite Boundary Bay Brewery beer! Cheers.